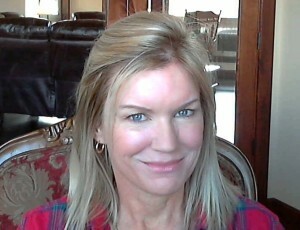 This entry was posted in Substance Abuse and tagged Ask an Expert, Celebrities, Opioid, Prescription Medication on June 12, 2016 by Team Addiction Hope. The world was shocked when news of Prince’s death hit the airwaves. And when it was revealed that the 57-year-old musician had died of a prescription opioid overdose, many were left wondering how such a tragedy could befall someone of his level of fame–after all, aren’t prescription medications supposed to be safe to use? Our very own Founder and President, Jacquelyn Ekern, MS, LPC answers a few important questions regarding Prince’s recent passing, as well as the current state of America’s opioid abuse epidemic. A: Very surprised and saddened to hear this. I am wondering if pain issues he endured led to his opiate addiction and what could have been done differently to intervene ahead of this sad event. Unfortunately, we’re seeing more and more cases of opioid addiction and overdose with each passing year. When you look at the data being put out by the Centers for Disease Control and Prevention, you’ll see that the number of overdose deaths caused by opioid drugs like Oxycontin and heroin have more than tripled in America between 1999 and 2014. So while Prince’s passing is a tragedy, it does fit in with this overall trend. Another factor that needs to be considered is that Prince was taking the opioid drug fentanyl, which is on average 50-100X more powerful than morphine. Fentanyl is a really scary drug because it is incredibly potent and crosses the blood brain barrier much faster than other opioids. Fentanyl is so powerful that doses are measured in micrograms, so when the news came out that Prince was using the drug, we weren’t surprised that this was the tragic result. A: Celebrities are under significant stress and pressure to perform and maintain their “status”. This is taxing for anyone and unless they have excellent support systems and coping skills, they may be vulnerable to “medicating” themselves through recreational use of opiates. It’s also important to remember that many musicians and actors get a powerful dopamine rush when they perform. They’ll often describe the experience as extremely euphoric and addictive, so when they aren’t performing at a concert or acting on stage they may begin to feel sad, worthless, or depressed. It makes sense that in their off-hours they would turn to drugs to get their dopamine fix. Opioid drugs pose an especially dangerous risk for entertainers. Because there is a popular perception that celebrities live a wild and party-fueled lifestyle, the media tends to focus on their use of alcohol and stimulant drugs like cocaine and amphetamines. When celebrities use a depressant like heroin or oxycodone, they tend to isolate themselves so that the media can’t reach them, and the public may never learn of their addiction. When celebrities like Janis Joplin and Philip Seymour Hoffman died of a heroin overdose the world was shocked because they were able to hide their addiction from the world. 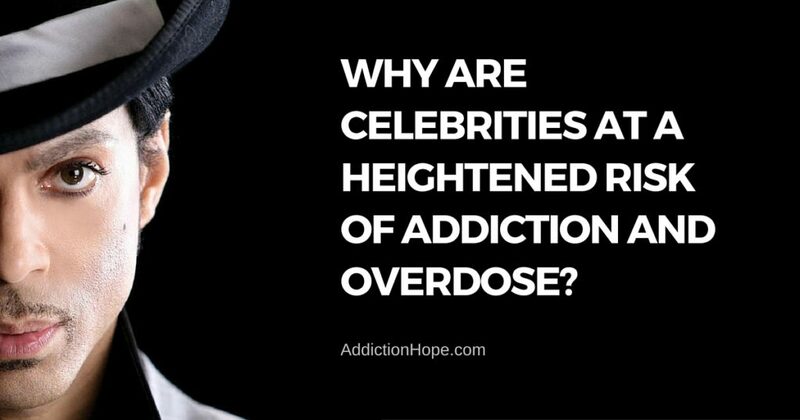 Because it is so easy to hide an opioid dependence, celebrities very often aren’t pressured into seeking treatment until it is too late. A: See a therapist who specializes in substance abuse, if that is not meeting their needs, then consider intensive outpatient, partial hospitalization or inpatient treatment. Now, most high-profile actors and musicians have Type-A personalities, meaning they are often unwilling to put their lives on hold in order to receive treatment for their addiction. Celebrities often find the most benefit from highly customized outpatient programs, where their busy schedules and privacy needs can be respected. Therapy sessions may be held in the privacy of the patient’s home, tour bus, or hotel room in order to minimize any inconveniences. And having a qualified addiction specialist close at hand is a great way to help promote adherence to the recovery plan. In cases of extreme addiction, it might even be necessary to ask whether or not the patient is in need of a career change. A traveling musician is very often going to be in an environment where others are abusing drugs or alcohol, and this easy access can be a massive temptation for those struggling to achieve recovery. Q: Where do you see the opioid epidemic going? What direction regarding doctors prescribing, new laws and treatment opportunities as well as the turn to heroin? A: There are aggressive efforts being made in the medical community to better educate prescribing medical professionals about the dangers of opiate addiction, and the CDC has just recently released a new set of guidelines for doctors regarding the prescription of opioids for treating chronic pain. Some states are even beginning to take matters into their own hands. New York, for example, is now requiring that all prescriptions be submitted to pharmacies online directly by the physician, rather than a simple paper note. Also, groups such as Partnership for Drug Free Kids engage in excellent efforts to provide education, awareness, and prevention of opiate addiction and other substance abuse matters. One of the struggles with battling the current opioid epidemic is that people often have the mistaken belief that prescription pain medications are safer than illicit drugs simply because they are being prescribed by a doctor. The public needs to understand that when these powerful drugs are used recreationally or without the strict guidance of a healthcare professional, there is always the risk of developing an addiction or even experiencing a deadly overdose. Until we are able to drive this message home from an early age, we’re afraid that the number of people abusing opioids is only going to get larger. This growing trend of prescription opioid abuse is especially troubling because it is now known that people suffering from an addiction to prescription painkillers are 40X more likely to become addicted to heroin. This makes sense when you consider the fact that heroin is much less expensive, and can be bought very easily on the streets.